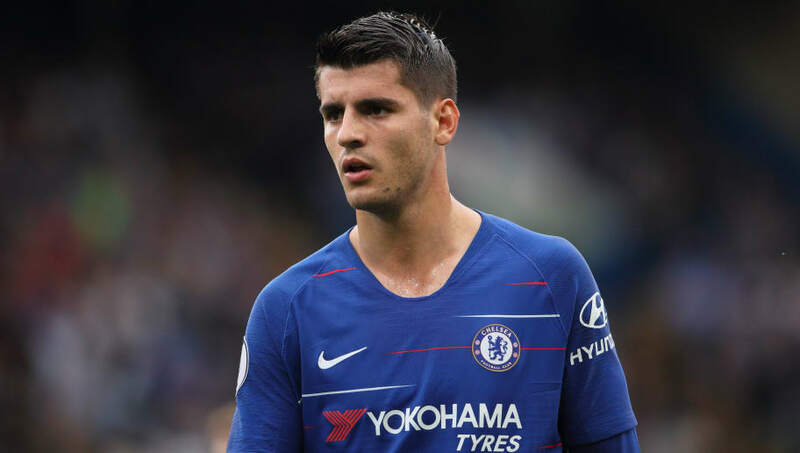 Chelsea striker Alvaro Morata appears to be nearing an exit from the club and a return to his first club Atletico Madrid after reports of 'advanced talks' over a proposed January transfer. The news comes as Chelsea are seemingly on the verge of signing Gonzalo Higuain from Juventus. According to Sky Sports, negotiations between Chelsea and Atletico, who re-signed Diego Costa from the Premier League side 18 months ago, are ongoing. Meanwhile, journalist Fabrizio Romano has tweeted that the transfer is 'confirmed', with the 'last details and agreement' said to be 'so close'. However, as yet it remains unclear as to what the terms of any deal would be. Chelsea's preference is said to be a permanent deal and they would apparently be looking for £45m. Morata, who started his youth career at Atletico as a 13-year-old before later moving on to Getafe and city rivals Real, is said to want to return to Madrid. The report from Sky Sports notes that the proposed move would hinge on Chelsea finding a replacement, but with Higuain now expected to be arriving that doesn't appear to be a problem. Chelsea's priority in the January transfer window has been a new striker and manager Maurizio Sarri appears to have landed his first choice after previously working with Higuain at Napoli. Chelsea fans will hope that Higuain brings a degree of consistency to the 'number nine' role at the club, with Morata flattering to deceive since his £60m move from Real Madrid in 2017. French veteran Olivier Giroud is the only other recognised striker in the first team squad.